Retirement News > Reverse Mortgages > Articles > How Many Types of Reverse Mortgages Are There? Reverse mortgages are often talked about as a means to increase cash flow by tapping into home equity in retirement. But have you heard the full story? Do you know there’s more than one type of reverse mortgage? There are many types of reverse mortgages. 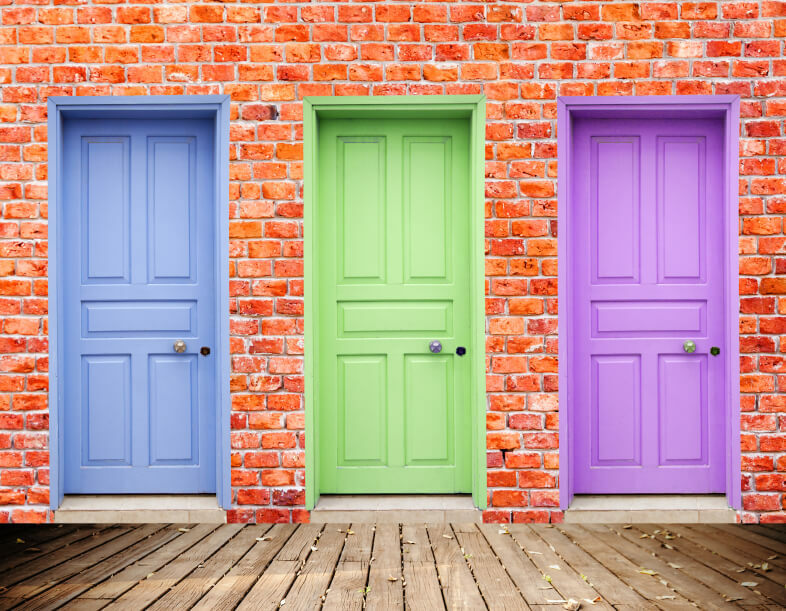 Does one open the door to financial security for you? HECMs include two different subtypes as well: HECM for Purchase and the standard HECM loan. All of the loan types come with different options including payment type (term, tenure, lump sum, line of credit); and rate type (fixed or variable). Here’s what you need to know about the different types of reverse mortgages. There are also some requirements that come with the standard HECM loan, as well as a required insurance premium paid to FHA. For example, all borrowers must receive reverse mortgage counseling with a Department of Housing and Urban Development-approved counselor. (Find a list of approved counselors here.) All borrowers must also remain current on property taxes and homeowners insurance, and must keep the home maintained to FHA standards as their primary residence. There is also a lending limit set by FHA. Currently, lenders are limited to making loans based on the lesser of the appraised value or the HECM FHA mortgage limit of $726,525. So, for borrowers with homes valued above that limit, the proceeds are limited. HECMs also have some additional restrictions: borrowers are limited in the amount they can withdraw in the first 12 months post-closing, for example. The reverse mortgage loan also becomes due and payable upon certain events, such as the borrower moving out of the home, or the borrower passing away. Many retirees today are using the HECM loan as a line of credit that is available in case of unforeseen events. The line of credit can be accessed at any time, and it actually grows over the time period when it is left untouched — a feature of which many retirees are not aware. Another little-known reverse mortgage product is the HECM for Purchase reverse mortgage. It’s now available in all 50 states and falls under the reverse mortgage types that are FHA-insured. Most of the same HECM rules, restrictions and options apply to the HECM for Purchase program, except for one main difference: The HECM for Purchase can be used to buy a new home. Here’s how it works: the loan essentially rolls a new home purchase and a reverse mortgage transaction into one. It allows the borrower to use loan proceeds toward the purchase of a new home, in one fell swoop. The borrower may need to apply funds at closing to meet the requirements of the new home purchase, since the completed transaction will allow the borrower to eliminate mortgage payments on the new home. Many borrowers have used the HECM for Purchase to move closer to family or friends, or to relocate to a new home that is more suitable for aging — such as a single-story home, or one that is equipped with wheelchair access if needed. It used to be that the loan can be used on new construction purchases only once the Certificate of Occupancy (or equivalent document) had been issued. However, that restriction was lifted in 2017 making it even easier to take advantage of this loan type. If you’re interested in a HECM for Purchase, you also will want to consider that the transaction involves both a reverse mortgage loan originator and a Realtor. It’s a good idea to work with experienced professionals who have been through the HECM for Purchase process and know the ins and outs of the required documentation and time frame for closing the loan. NOTE: To use a reverse mortgage calculator to see eligibility for a reverse mortgage for purchase, use the price of the home you wish to purchase for “home value.” For existing mortgage, put in the amount you will need to finance. This is a reverse mortgage that is not insured by the government. As such, it does not come with the same requirements, or restrictions. Over the past few years, we’ve seen an substantial increase in the number of proprietary products available. Lenders that offer private reverse mortgages can offer their own loan terms. This can provide a couple of benefits to borrowers. Borrowers are not subject to FHA lending limits. This allows them to offer “Jumbo” reverse mortgages, or those that exceed the FHA lending limit. They can be a good option for borrowers with high home values well above that limit of $726,525. Borrowers are not subject to FHA insurance fees. Instead, they will face private mortgage insurance as specified by the lender. If you have a home valued well above the FHA’s threshold, you may want to look into a “Jumbo” reverse mortgage offered by a private lender. You may also want to speak to a specialist about newer products that are perhaps less costly and more attractive than traditional HECM loans. There are different reverse mortgages for different purposes. If you are considering taking out one of the reverse mortgage types, it’s a good idea to consult with an experienced reverse mortgage professional. Find out more about which reverse mortgage type may be best for your situation.